New York City, NY.- There’s often the feeling that technology means a less intimate experience – who really wants to talk to a robot instead of a human – but Toronto-based startup Tulip Retail wants to use technology to make the customer experience more personal. 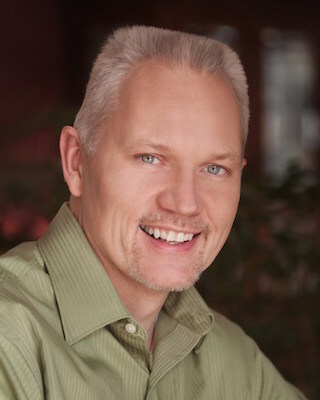 “People think that digital isn’t personal,” Bill Zujewski, Executive Vice President of Marketing for Tulip, told ITBusiness.ca. “But that’s not necessarily true, we want to make the retail experience personal and intimate one with digital technology,” he said, noting that the company has garnered a lot of interest from luxury brands over the past year. Founded in 2013 by now-CEO Ali Asaria, Tulip has quickly grown, announcing recently that in 2018 it moved from early adoption to mainstream technology, naming among its customers six top luxury brands including Chanel, Mulberry, David Yurman, De Beers Jewelers, and Veronica Beard. This global expansion only started about a year ago, according to Zujewski. Its growth has seen it open offices in New York, London, England, Italy, with its global headquarters and development teams remaining in Toronto and Kitchener respectively. The startup creates iOS enterprise software for retail to help sales associates create more personalized experiences for shoppers. “The intimacy and personal experience that defined retail decades ago is being brought back by brands that are investing in tech for associates that enhances the engagement with customers,” Asaria said in the recent press release. So it may be of little surprise that luxury brands, which are all about creating personalized and intimate experiences for customers, have flocked to Tulip’s product offerings. But the Toronto-born company isn’t just about luxury, it’s about melding the brick-and-mortar store experience with a digital one says Zujewski. He told ITBusiness.ca that Tulip helped Canadian e-commerce success story Frank and Oak which started off as a purely online clothing retailer, then after finding success, moved into brick and mortar. According to Zujewski. Frank and Oak uses Tulip’s full suite of tools to run its in-store systems. Some of those software products as well as new features being added on the first quarter of this year were on display at NRF 2019: Retail’s Big Show in New York City. Zujewski showed ITBusiness.ca how companies like Michael Kors are using its Runner feature, which allows sales associates to check product inventory from anywhere in the store and request assistance from an in-store runner to bring out an item from the back. Tulip’s software is built specifically for iOS, it works across mobile devices, including iPhones, iPads and the Apple Watch. 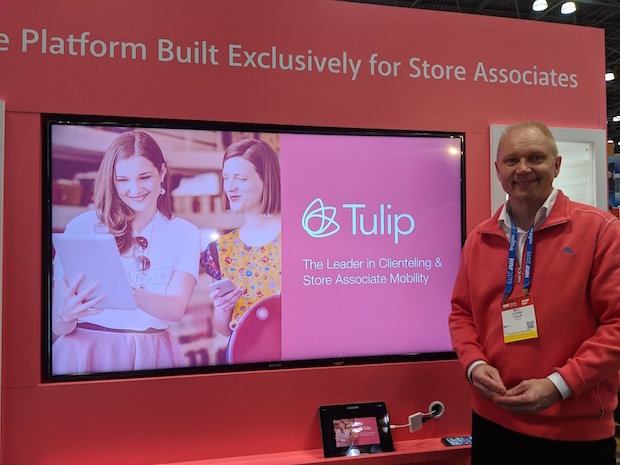 Retailers using Tulip’s software equip sales associates with mobile devices, and when they need assistance they can make the request through the software which then connects to the runner, who will also have a mobile device or smart watch for example. The runner can then accept (or decline) the task from their mobile device and quickly bring the needed item. Tulip essentially offers backend systems for in-store sales associates that ‘sees’ everything about a shopper. It creates a profile on each shopper based on data such as previous purchases and habits, can offer recommendations and allow associates to personally reach out to the shopper if they’re opted-in. Its array of services cover fulfillment, assisted selling and checkout and mobile POS as well as its runner feature. Zujewski says that by using Tulip software companies have been able to not only assess how their brick and mortar stores are faring but increase sales. 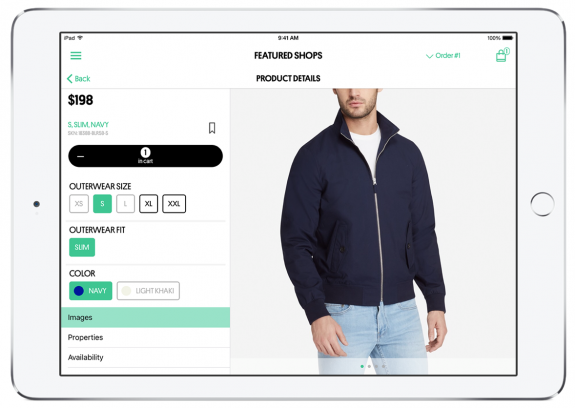 Seen in the Bonobos-branded app, a clientelling feature in Tulip Retail allows a store associate to follow-up with customers after they visit a store. Bonobos, a men’s clothing retailer that, similar to Frank and Oak, started online and moved to physical stores, has seen a 12 per cent lift in its average order value of sales. And Canadian customer Indigo used Tulip to help increase its POS ‘through-put’ by 45 per cent over this past holiday season. Tulip is also planning to expand some services and launch new ones in the first quarter of 2019 according to its release, including incorporating machine learning and analytics thanks to a recent partnership with Google. The software company already offers ways for retailers to reach out directly to a customer and offer certain products by collecting data based on the shoppers past shopping habits both in-store and online. This year Tulip plans to take advantage of Google Cloud’s big data offerings and use automation to provide “associates with a personal dashboard of next best actions for client interaction automatically: who to reach out to, how, when and why,” stated the release. It will also integrate with Google BigQuery, which is an enterprise data ‘warehouse’ that according to Tulip will allow its customers to better understand the things that help drive larger and more frequent in-store purchases. Tulip is apparently also experimenting with augmented reality, with Apple’s ARKit for iOS. The Toronto-born company is predicting that more brick and mortar stores will be adopting mobile technology and machine learning in 2019 and will see dramatic improvements to store efficiency as well as customer satisfaction.